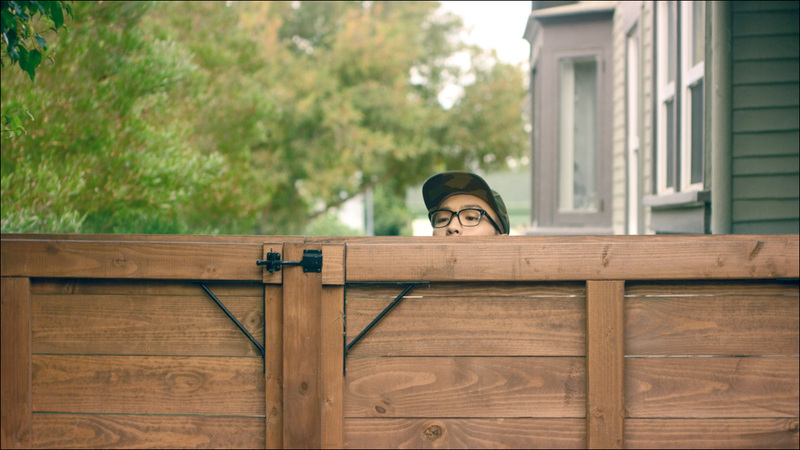 An interview with Dinh Thai, writer/director of the HBO award-winning short film. Writer/director Dinh Thai's film Monday, first place winner of the HBO's inaugural Asian Pacific American Visionaries short film competition, started as a funny idea about a guy who could transform himself into different individuals and adapt his language and behavior, depending on the situation. 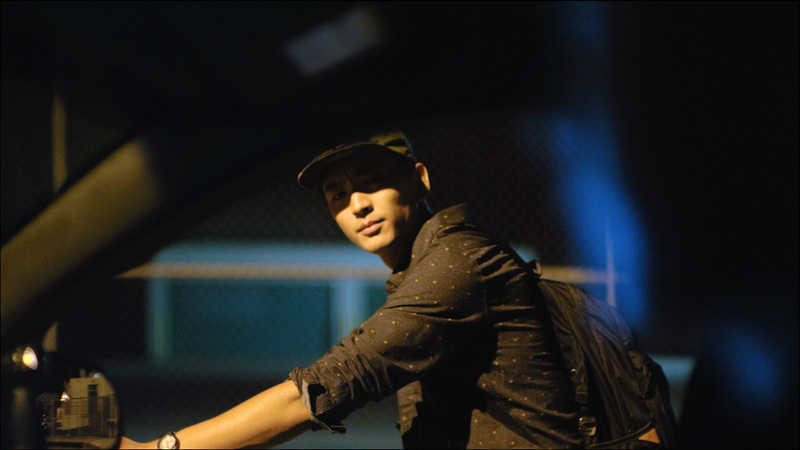 It eventually evolved into a dramatic short about Kwan (Kevin David Lin), a young hustler who navigates through various Los Angeles cliques while facing racism, danger, and a moral struggle with his illicit occupation. Monday is currently available for viewing on HBO platforms throughout this month, along with the other winning films, Tiffanie Hsu's Wonderland and Jingyi Shao's Toenail. I recently chatted with Dinh about the origins of Monday, the art of code-switching in film and real life, and one of the major creative influences on his film. Congratulations on winning HBO's APA Visionaries competition. What was it like watching it in front the premiere audience at the Los Angeles Asian Pacific Film Festival? Well, I've seen it plenty of times, and the cast and crew have seen it plenty of times. That night I was just looking at people to see what their reactions were. So I really didn't watch the film. I was watching the audience! And it was a warm crowd. They made me feel really good about the film. Was there anything about watching the audience's reaction that gave you a different kind of insight about the film? That most of the jokes actually work. And a couple of jokes that I don't like, they don't work. It's interesting to see how people react to it. Technically speaking, I don't like the audio mix. I would want to fix that. And there's a couple of directorial things that I don't like. But it's really interesting to see a group of people laughing at the thoughts that were in my head. It's such a trippy connection and revelation, that an artist can make something and an audience can react to it, and it's a positive reaction. Where did Monday come from? What were the seeds for the ideas and characters that eventually became your film? The very first ideas for Monday happened about a year or two ago. It was just a comedic skit about a character who would go into a situation and transform into those people and speak like those people, and then he would go to a different group of people and do the same. When the HBO contest was announced, my friends were making a short for it, and so I thought, hey, I should do it as well. I started writing this high concept idea and I couldn't figure it out. I just couldn't get through the questions, I couldn't answer the questions, and things started getting really expensive. Then this old idea popped into my head. I really liked it and just started writing it. And as I was writing it, it started to trigger a lot of current emotional things that were happening with me, so I did as much as I could to put that stuff inside the script. That's really the stem of it all. The inspirations are based on things that I've gone through as a kid and even today as an adult. I still go through a lot of these social interactions and nuances that kind of hurt my feelings, but I try not to be a jerk about stuff. I'm thankful that I have an art form where I can put some of these ideas into a film and get people to watch it. The character of Kwan is kind of a hustler, navigating different worlds and playing a role -- even changing his appearance -- to get what he needs. In someone else's movie, I think that guy would be played by a white guy. Kwan's ability to shape-shift or code-break, or whatever you want to call it -- adjust, adapt -- is an analogy for what we do as people when we're out in the real world with our friends or strangers or new friends or business colleagues or everyone. You just make these little adjustments. I thought that was super interesting because when I reflect back on my social interactions, I do that quite often. I really do make an adjustment in the way I speak, the way I talk and the way I tell jokes. Even which topics we speak about. Those all change with different social groups. So I thought it was really interesting to try to add that layer of character for Kwan. And the mechanism of the hat and glasses, those are there purely just to give the audience a physical connection to what he's doing. And there's a bigger analogy there. 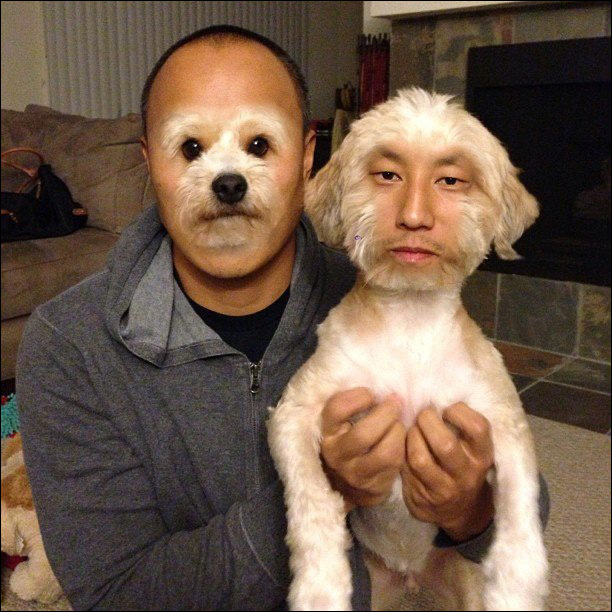 The whole shape-shifting thing is sort of what I think we have to do as Asian American filmmakers in Hollywood. We have to abide by some rules, play the game, and then when we get a better footprint, we can start really raising our voice and changing the content. Right now, if we go one hundred percent Asian-centric into Hollywood, that's kind of off-putting. We are not that appealing at the moment. Although it is a great time to be Asian. Were there parts of Monday's narrative that drew from your own experiences? I grew up in Temple City, in the San Gabriel Valley, with a cross-section of many different types of cultures. Predominantly Asian, but my best friend in grammar school was Hispanic. I had Indian friends, Native American friends, Chinese, Taiwanese, Korean, Caucasian, African American [friends]. It was super diverse. I actually watched Monday twice. Once through an online screener, and then with the audience at the film festival. To be honest, I kind of got down with it a little more on the second viewing. The film has this unique rhythm to it that kind of assaults you, and the second time I watched it, I felt like I could slip into that rhythm a little smoother. Does that make sense? It makes a lot of sense. It's a little too fast, but fast in a good way. The language, there's a lot of slang, so it's tough to catch on to it. It makes perfect sense that you had that experience. I just appreciate that the first time around, it was good enough for you to watch a second time! One thing I really loved about Monday is that at no point does the film slow down to explain or make excuses for what the hell is going on in this world. You just have to get in and you'll figure it out. Well, that was the meta line in the scene with Andre and Eric. When they're like, "The Frog and the Scorpion." Andre says, "Google it." That is the meta line for the entire short. If you don't understand anything, Google it. That was purposely put in there to tell the audience, if you don't understand any of this, you should use Google. That was very intentional and I'm glad we're talking about it because I haven't really had the chance to reveal that to anybody. I'm not saying I'm a TV snob, because I don't know much about all the series that are showing. I just know that when I watch one episode, I have to ask if it's worth it. I usually don't continue watching. But one of my favorite TV shows, which was a huge inspiration for Monday, was Friday Night Lights. If you do a little case study, and you watch the way things are shot, how people move inside of the film and how they speak to each other, and also our production approach, we mimicked a lot of Friday Night Lights. Watching Monday, I got a clear sense of the bigger world beyond the twenty minutes of narrative we get from the short. I got the impression that it could expanded into something more, like a feature or a series. Do you have any intentions to keep exploring this world in any way? I would love to push this idea into a TV series, and currently, I've been in talks with my new managers to do this. I love the TV series idea, but as you know, the hurdle is -- and I quote -- "nobody is going to give a first-timer a TV series." Yeah, there's not a lot of precedent for that. Well, there's a first time for everything. Who would have thought that I could make my first short and win an award? 'Monday' is available for viewing on HBO GO, HBO NOW and On Demand throughout the month of May.